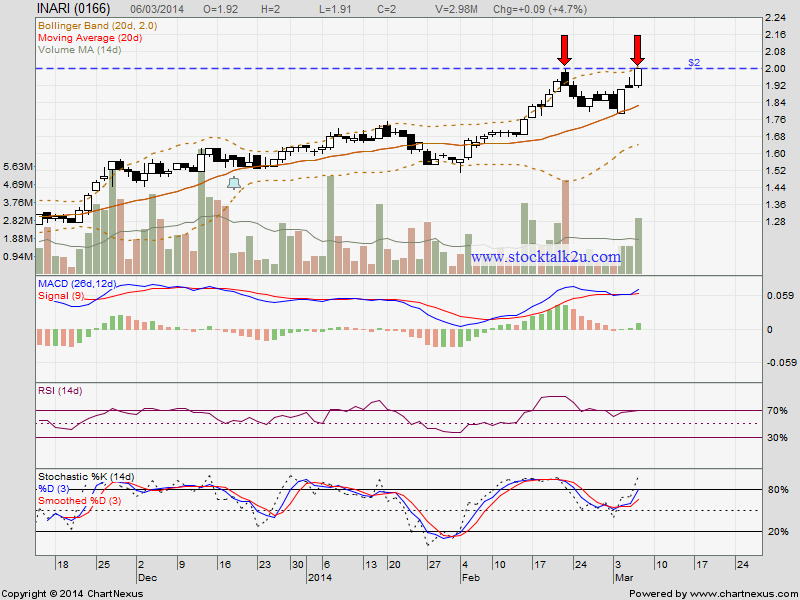 INARI retest RM2.00 psychology resistance level. If INARI succeed breakout the resistance & it's another new high record, there is no immediate resistance. If retrace down, immediate support would be MA20 level.